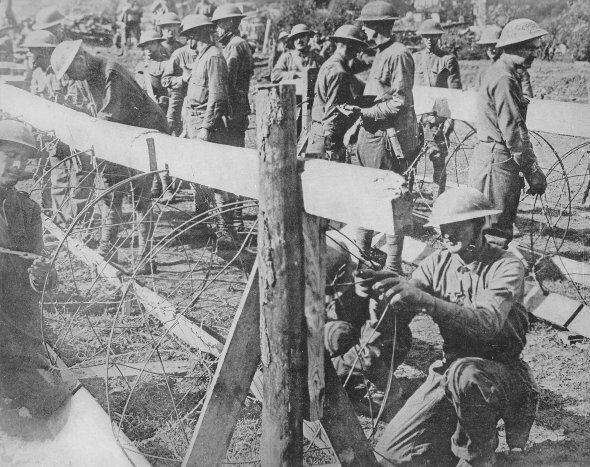 American engineers making "rolling" barbed wire entanglements. The boards serve as racks to hold the hoops in place while the wires are being strung. The "rollers" were in constant use to impede the advances of the enemy. Wire was strung when a counter-attack was expected.